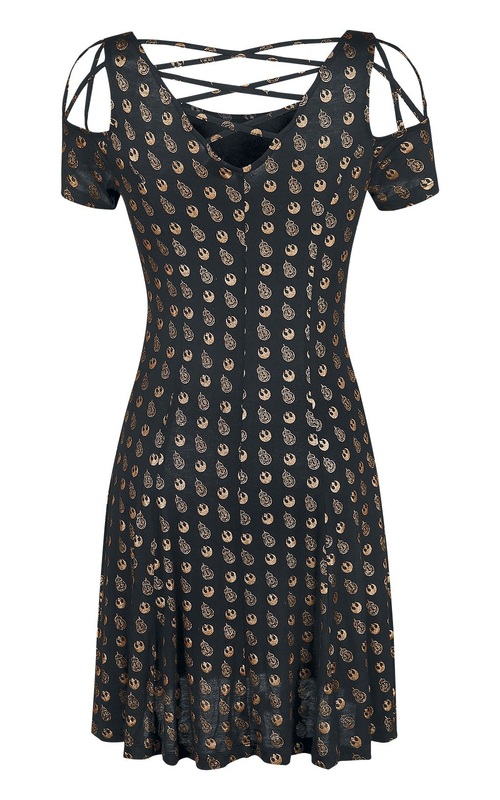 This fantastic Star Wars BB-8 gold print dress is now available at EMP Online. 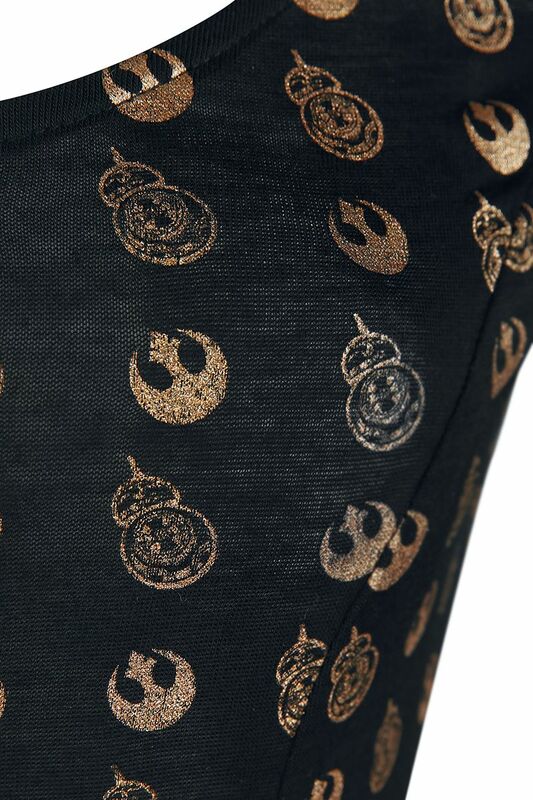 Made from 95% viscose, 5% elastane, the black dress features an all-over metallic gold print of BB-8 and the Resistance ‘starbird’ symbol. 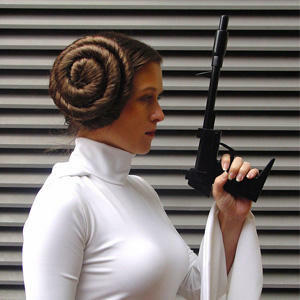 The dress also has cutouts on the shoulders, with criss cross decorative straps across the grap, and straps across the low v-shape back neckline. 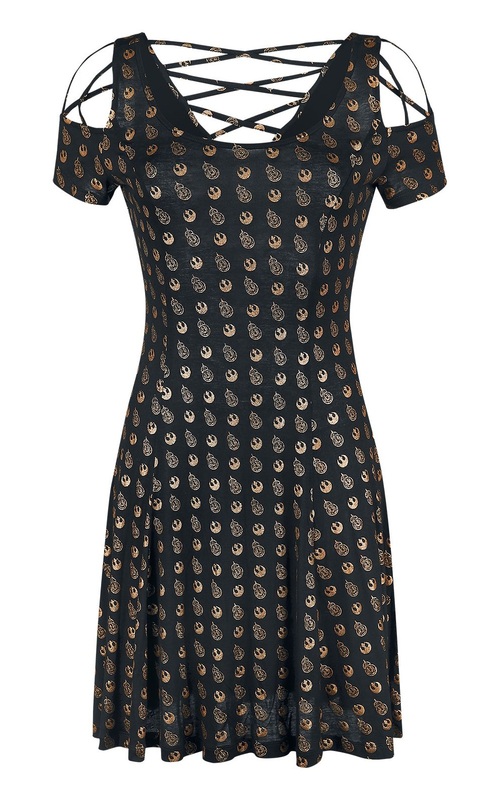 Available in sizes S to XXL, the dress is priced at €49.99 each (approximately US$56.97 each) – EMP Online can ship internationally.